From press releases to guest posts, Living Like Golden hopes to shine wherever we go! Check us out below for media + press releases. 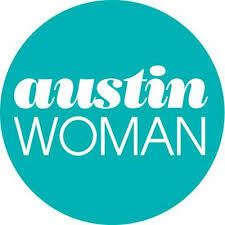 Founder, Sarah Johannesen, featured in an article in the April Issue of Austin Woman Magazine, discussing eating disorders and how the way we talk about each other matters. Read here. Austin-based photographer, Maegan Kylie, features Sarah Johannesen on her blog. Read here! Featured on the We’re Not Weighting Podcast discussing my story, what recovery looks like in college, why I started Living Like Golden, and much more! Listen here and on iTunes! Read my post on The Honest Shruth right here! Aubrey Golbek R.D. is a a mom, dietitian & author on a mission to help you ditch shame & find grace for food, body image, motherhood & beyond! On her blog, I discuss in more detail my own personal story with finding my life and living in freedom from disordered eating and an eating disorder. Autumn Sanders is a part-time blogger, part-time PR student and full-time stripes enthusiast. I had the opportunity to sit down with her over a lovely latte and discuss more of my story and why I started LLG. Living LIke Golden podcast with abbie womack r.d. A dear friend of mine, Abbie Womack, R.D., and I got together to record a podcast about a topic we both feel super passionate about: finding freedom in food. We discuss our own personal stories, food freedom, and the gluttony controversy.